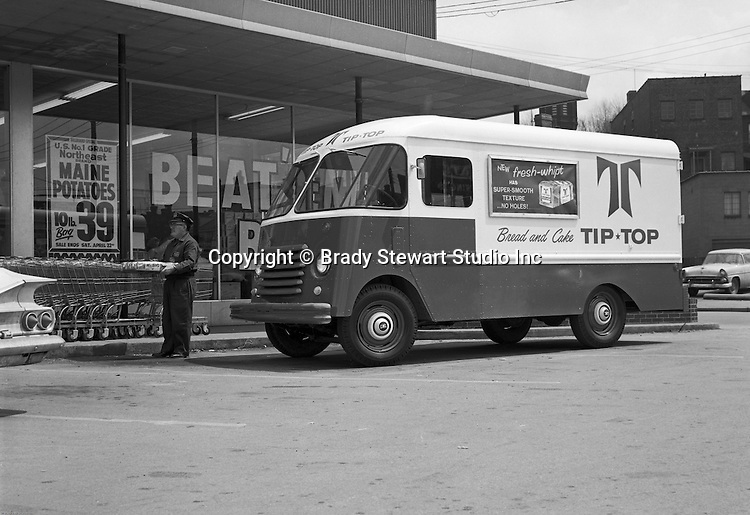 Route driver delivering Tip Top Bread to a the Thorofare Super Market - 1961. On location photography for JBE Olson Company, the step van manufacturer. Ward Baking used Olson Kurbmasters which were popular parcel delivery vans in the 1960s. They were built using Ford P-series chassis with a slanting engine compartment and slab-sided front end. Kurbmaster is still copied today by many step-van manufacturers.